Tellus Group has been providing quality educational travel programmes since 2003. Years of working with European Union Lifelong Learning Programme have helped us develop a network of international partners we are proud to work with. Our language schools are recognised by major accrediting bodies: Instituto Cervantes in Spain, FLE Qualite in France, British Council in England, ASILS in Italy and IALC and EAQUALS internationally. Many hold international awards (i.e. LTM Star Awards for: The Best French Language School in France and The Best Italian Language School). All the teachers delivering language courses in France, England, Spain, Italy and Germany are highly qualified and experienced in teaching their respective languages. You can speak to us in Czech, English, Finnish, French, German, Greek, Italian, Norwegian, Polish, Russian, Slovakian, Spanish and Swedish - click here to request a contact. There is no better way to do a language course than in the country where it is spoken. Tellus Languages Abroad offers Spanish courses in Spain, French Language Courses in France, English courses in England, Italian courses in Italy and German courses in Germany. We believe that language training based on cultural immersion is the best way of improving your language skills. Whether you are looking for a French language course in France, a Spanish language school in Spain, an Italian language course in Italy, a German language course in Germany or an English language school in England, we will use our expertise to advise you and to find the best school and the best language course for you. 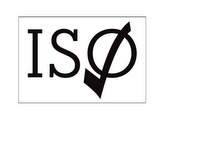 Tellus Languages Abroad and Tellus Group hold the prestigious ISO quality certification. We are proud to offer our clients the quality assurances that BS OHSAS 18001:2007 in Health & Safety and ISO 9001:2008 in Quality Management can bring.